The talk is divided into two parts, the first provides an overview of the recently completed EU funded large-scale research project DIGIWHIST. It collected data on over 17 million government contracts in 35 European countries and developed objective corruption proxies to support research and government accountability. Indicators characterise public tenders, bidding firms, as well as individuals in leadership positions. The second part provides one powerful example of how the new approach can be used for revisiting long standing research questions. One such issues is the corrupting power of money in US politics which has long been debated with emerging evidence pointing out that campaign contributions help funnel money to politically connected companies. However, it is yet unclear how exactly such mechanism might work and what are the curbs on politically driven contracting. To address these gaps we compile the full dataset of published federal contracts and registered campaign contributions for 2004-2015, linked to each other on the company level. We develop corruption risk indices in government contracting which capture potentially favouritistic tendering practices and outcomes. Using contract-level regression models with a wide range of fixed effects, we find that campaign donations have a positive linear impact on company corruption risk once a minimum threshold of donation value is reached. Interestingly, this effect is largely non-partisan, that is the fact of donating matters more than who is in power. Moreover, company donations can only influence tendering corruption risks if the buyer has a low starting institutional quality/insulation, with the main effect becoming insignificant for those federal agencies which have a high institutional quality. 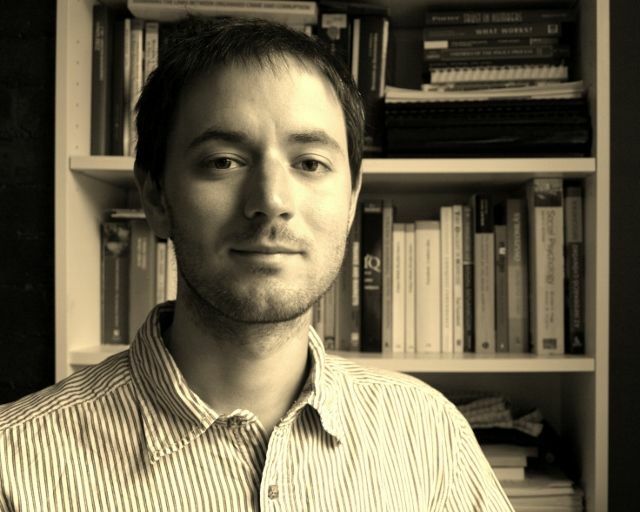 Mihály Fazekas completed his PhD at the University of Cambridge in 2014 looking at high-level corruption, state capture, and state capacity in Central- and Eastern Europe. Now, he works at the University of Cambridge as a post-doctoral research fellow as the scientific coordinator of the Horizon 2020 funded project DIGIWHIST. This large-scale research project uses a Big Data approach to measuring corruption in public procurement and to allowing citizens to hold governments to account. He has also taken a leading role in other research projects on corruption such as ANTICORRP; and directs a think-tank, Government Transparency Institute, specializing in using Big Data to understand government performance. He holds three master degrees in economics, public policy, and teaching. He has experience in both quantitative and qualitative methods in diverse fields such as economics, public policy, and political science acquired in numerous research projects across Europe. He has worked for the European Commission, OECD, World Bank, RAND Europe, Ecole Nationale d’Administration, Hertie School of Governance, and Hungarian Academy of Sciences. His latest research efforts concentrate on fair competition, transparency, and openness in public procurement markets with particular emphasis on quantitative analysis of corruption risks, bid rigging, and administrative capacity using large-scale administrative databases. Together with Bence Tóth and István János Tóth, he was awarded first prize in a U4 Anti-Corruption Resource Centre competition for their pioneering work in developing new proxy measures of corruption.